Overriding aorta means aorta is wrongly positioned over a ventricular septal defect instead of ventricle i.e. left ventricle. It is a congenital defect of heart and present in infants by birth. When this condition appears, it results in mixing of oxygenated blood and deoxygenated blood within aorta. Blood mixing occurs because aorta receives some blood from ventricle in overriding aorta. When oxygenated blood get mixed with deoxygenated blood, the oxygen concentration in blood decreases and as a result less oxygen is transferred to body tissues. Overriding aorta is considered one of the four findings of tetralogy of Fallot. Overriding aorta does not occur alone because it is considered one of the four findings of tetralogy fallot. Other findings involve pulmonary wall stenosis, right ventricular hypertrophy and ventricular septal defect. So collective symptoms appear involving discoloration of skin due to less oxygen supply via blood. Skin color turns blue and is known as cyanosis. Tachycardia with rapid breathing. Shortness of breath during exercise. Weight loss and poor weight gain. Irritability, mood swings, murmur sounds of heart. Patient may get tired soon with walk and minor exercise. Clubbing of fingers occur and Shape of nail bed appear abnormal. Overriding aorta is a congenital heart abnormality which occurs during fetal development within womb of mother. During heart development, this abnormality occurs and aorta misplaces itself over ventricular septal defect. Other findings of tetralogy of fallot also present with overriding aorta and cause behind tetralogy of fallot is still unknown. There are some factors which can make overriding aorta more complicated and sometimes worse. These factors involve illness due to virus invasion, genetic disorders and poor maternal nutrition. It is a congenital abnormality and any external factor is not responsible for this tetralogy of fallot. Basically overriding aorta is the clinical finding of tetralogy of fallot. Tetralogy of fallot have four main findings involving overriding aorta, ventricular septal defect, pulmonary valve stenosis and right ventricular hypertrophy. These four problems occur side by side collectively during fetal development. In pulmonary valve stenosis, narrowing of pulmonary valve occurs. In ventricular septal defect, a hole occurs in the septa (membrane which separates lower two chambers of heart). In overriding aorta, aorta place directly over the ventricular septal defect. In right ventricular hypertrophy, walls of ventricle become thick and stiff due to over pumping of blood. There is only one treatment option of tetralogy of fallot i.e. surgery. Surgery is the only solution to this condition. 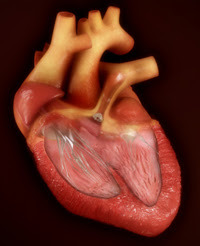 Intracardiac surgery or a temporary procedure is performed. In children and small babies intracardiac surgery is performed preferably. In intracardiac surgery, an open heart surgery is performed to do various repairs. It is performed during 1st year of birth. In temporary procedure, some temporary solution is performed to wide up the veins for good blood flow. These two surgeries are safe and have greater success rate but there are some long term complications which can occur after surgery.